Grace and Frankie – Season 4 (2018) – What's New on Netflix Canada Today! 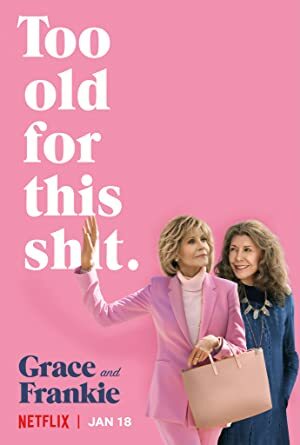 They’re not friends, but when their husbands leave them for each other, proper Grace and eccentric Frankie begin to bond in this Emmy-nominated series. Frankie feels left out of Grace’s friendship with Sheree, her new lodger. Sol and Robert are arrested. Bud and Allison throw a gender-reveal party.